What’s better than chocolate eggs at Easter? 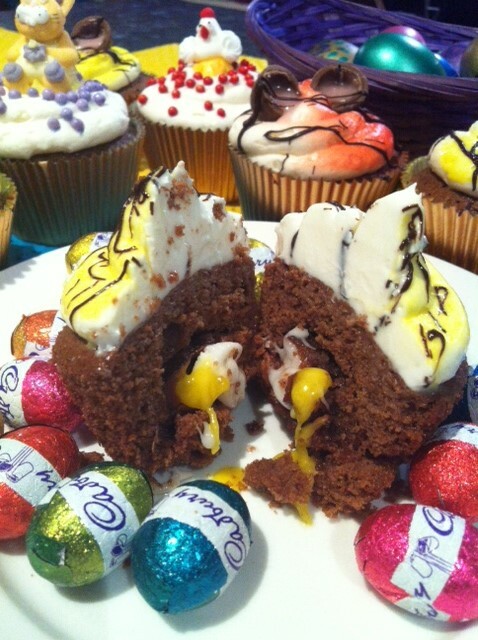 Chocolate creme eggs hidden in cupcakes, of course! 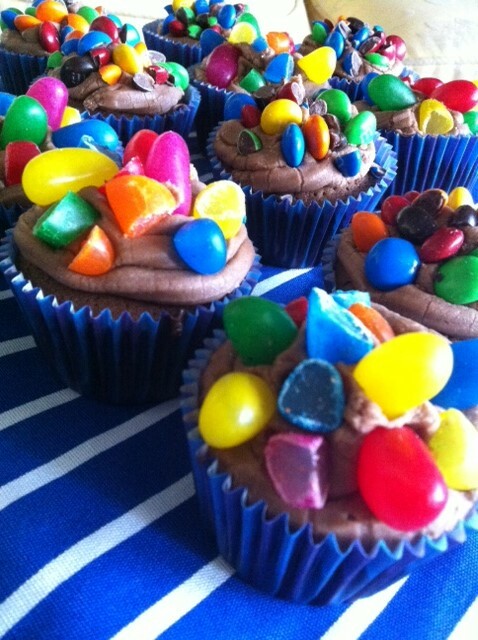 Even better, with a few cheats, this is a quick, simple recipe that’s easy to make with a bunch of kids and minimal mess – and they taste as good as they look, especially when they’re bitten into! 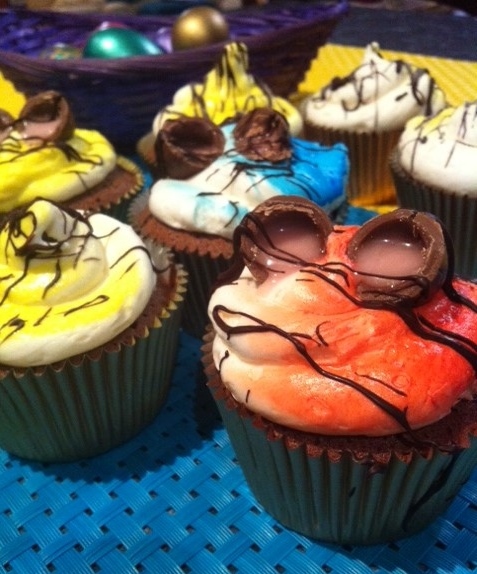 24 mini creme-filled Easter eggs. 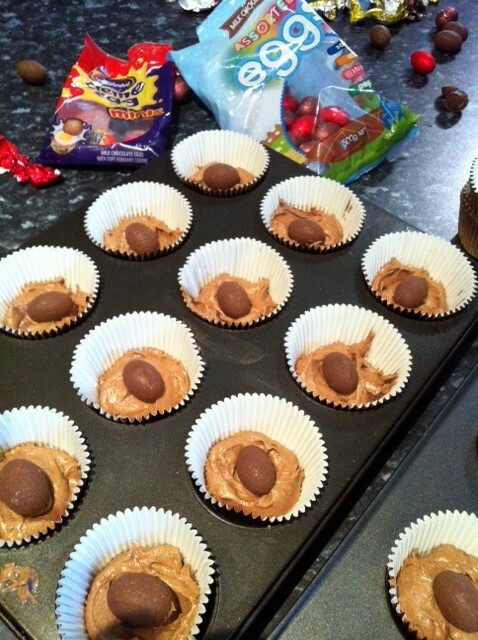 I used a mixture of Cadbury’s Creme Eggs, caramel-filled, strawberry-filled and mint. 2 tubs of commercial vanilla frosting. This is part of the ‘cheat’ bit. Freeze your eggs for a few hours, overnight is best. Now, don’t be thrown by the fact this is quite a stiff mixture. It needs to be that way to stop the eggs dropping. 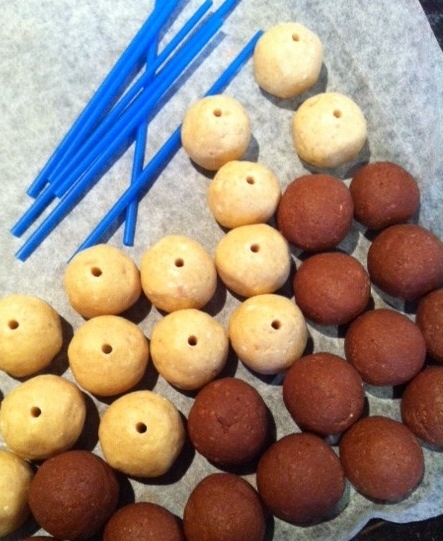 One mixed through, add a large teaspoon of mix to each cupcake case. 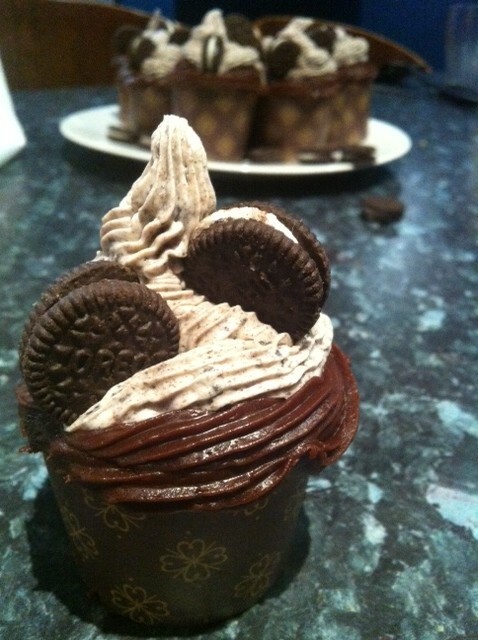 You need enough to give a generous covering of the bottom of the cupcake. Then, add an unwrapped Easter egg, by laying it on its side. Cover with another spoonful of cake mix, making sure the egg is totally covered and the case is about 2/3 full. Bake for aprox. 20 minutes, or until the cake springs back when you touch it. The usual method of sticking a skewer inside won’t quite work this time. When baked, allow your cupcakes to cool completely. 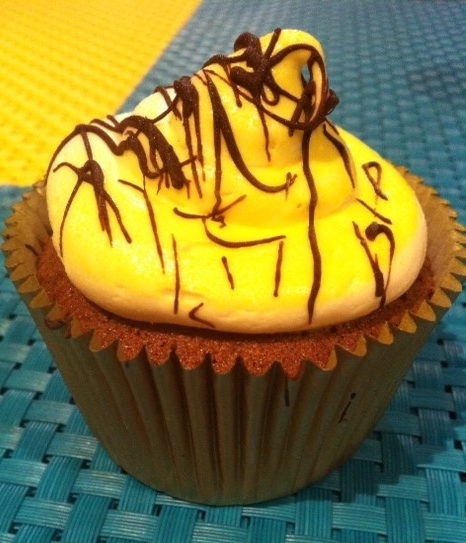 Fill a disposable piping bag with frosting, and using a large nozzle, pipe a simple swirl. Give a quick squirt with the aerosol colours, and decorate with either: more eggs, melted chocolate or sugar decorations…or, you could use all of the above like we did! First up, we’ll start with the marshmallows. 1 and a half cups of boiling water. Dissolve the gelatine into a bowl with the boiling water. You might have to help it melt by squishing with the back of a spoon. In a large bowl, place the three cups of sugar. Add the water/gelatine mix to it and beat with an electric mixer until the mix is thick and creamy and the sugar is dissolved. And after about 5 minutes, looks like this! Magic! It’s at this stage that you can add flavourings and colour. 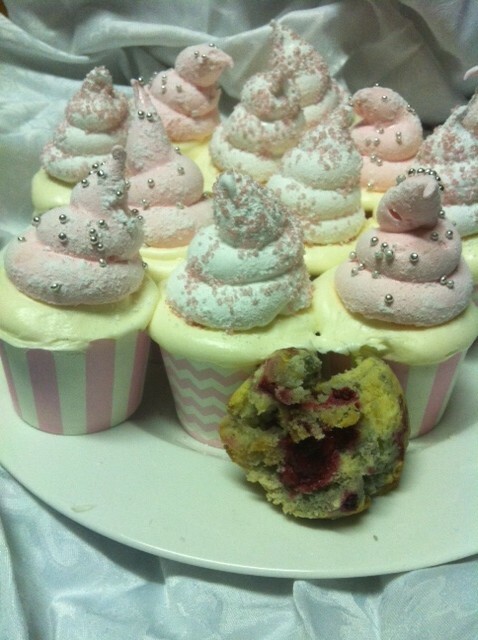 For this recipe, I used vanilla and a few drops of pink colouring to half the mix. Working fairly fast, spoon mixture into a piping bag with a wide round nozzle – be careful because it sets quickly and can be a bit sticky and messy! 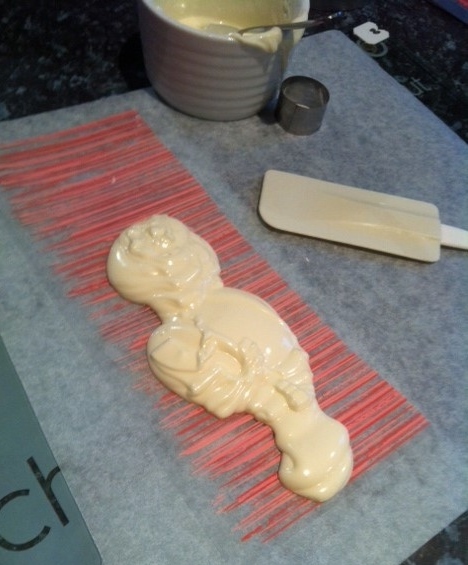 Onto a tray lined with baking paper, pipe coils of marshmallow. 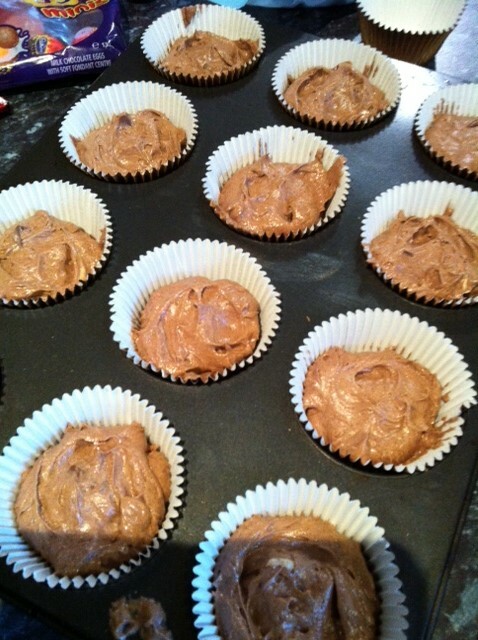 Refrigerate for at least a couple of hours, or until cupcakes are baked and cooled. 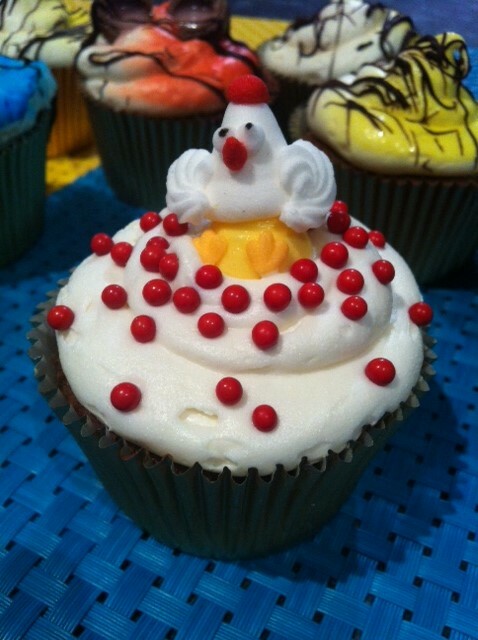 Now, onto the cupcakes. This recipe makes around 24 cakes. Preheat your oven to 175 degrees C. Line a muffin or cupcake tin with cases, or, you can use the self-structured ones shown in the pics. I like these because you can bake lots more at a time. My trays fit 25 cases. With an electric mixer, whip the butter, sugar and vanilla until its light and fluffy. Then add your eggs, one at a time. The mixture can go a bit curdly at this stage, but don’t worry, it’ll all come back together. Then add half the flour, half the milk. Then more flour, more milk and keep mixing until it’s all combined. Add a couple of spoons of the mashed raspberries and give another quick mix – but only enough to swirl the raspberries in. 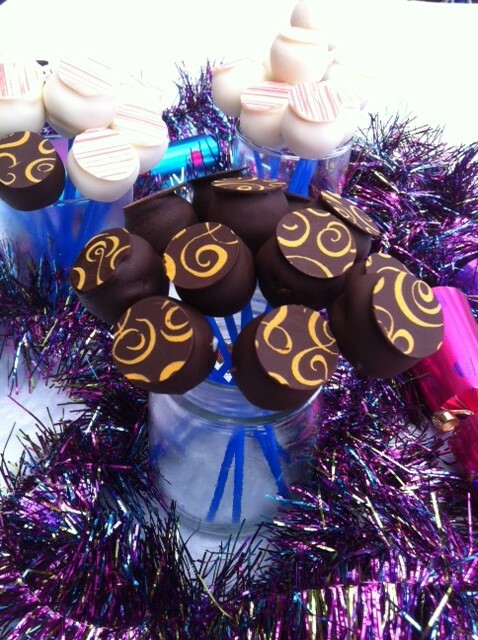 Once cakes are cool, pull your marshmallows out of the fridge and roll them in icing sugar, or a mix of icing sugar and coloured decorator sugar. 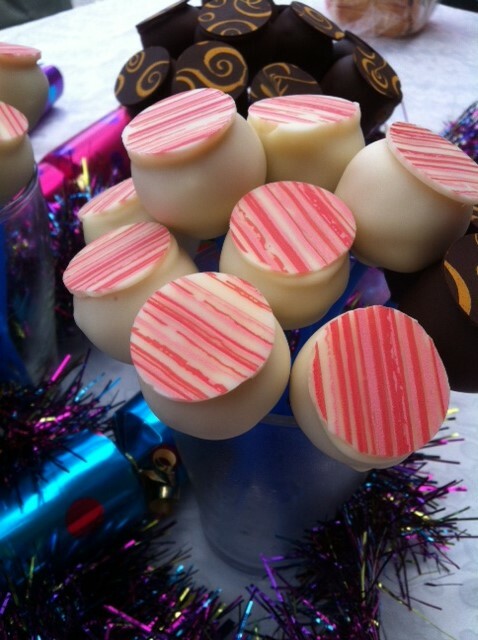 Try not to eat toomany before they go on the cakes! With a piping bag and the same large nozzle as used earlier, pipe a round circle of vanilla buttercream around the edge of the cake. Add your marshmallow on top, and you’re done! 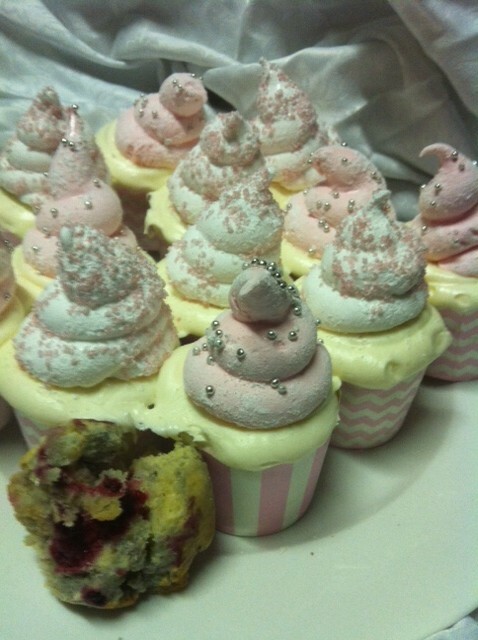 Hint: When making cupcakes for a special occasion, I find it really effective to use cupcake cases that match your colour theme, or, as you can see in these pics, two slightly different cases. It’ll make all the difference for the table display. 160g dark cooking chocolate. I used Cadbury melts brand. 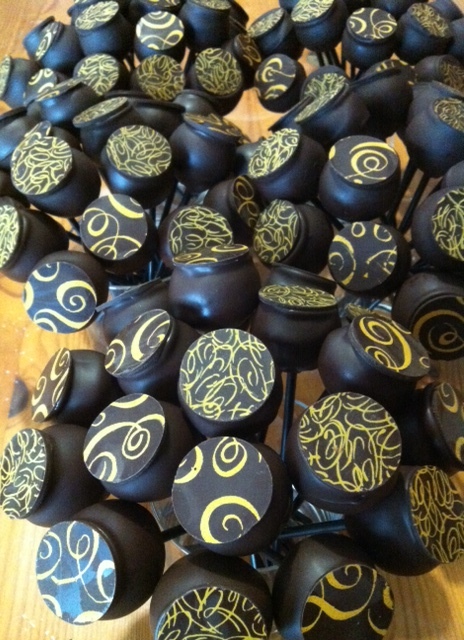 Pre heat your oven to 150 C, and set out the cupcake cases. 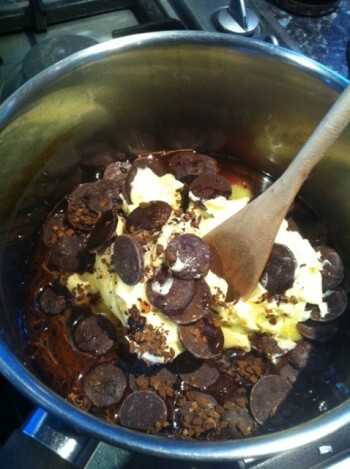 In a small saucepan, over low heat, melt together the butter, chocolate, cocoa, coffee and vanilla. 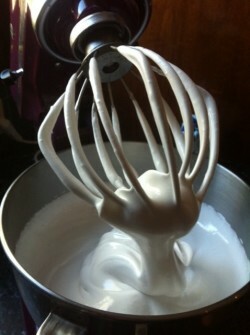 Use a whisk to bring it together until it’s smooth. Don’t let the mixture boil. Remove from heat and let it cool for 15 minutes. While your chocolate mix is cooling, use electric beaters to mix together the sugar and eggs until they’re pale and creamy. Then add the chocolate mixture, a little at a time. Once it’s all combined, add the flour slowly and mix. Pour the mixture to fill the cupcake cases to just over halfway and bake for aprox. 30 minutes. This will vary from oven to oven. 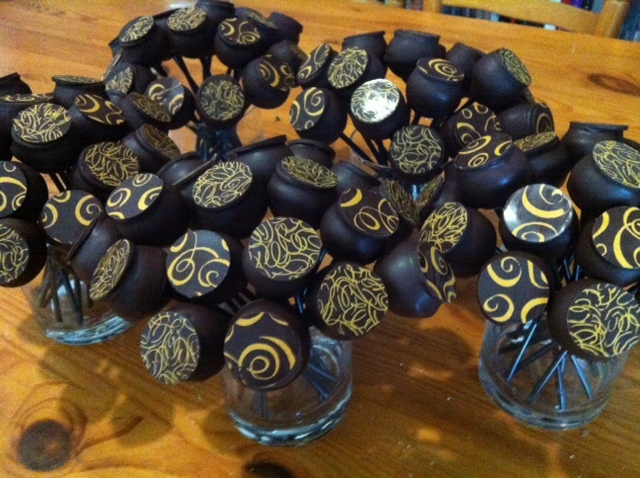 The best way to tell if your mudcakes are done is to insert a skewer into the middle of one of the cakes. If it comes out clean – you’re done. 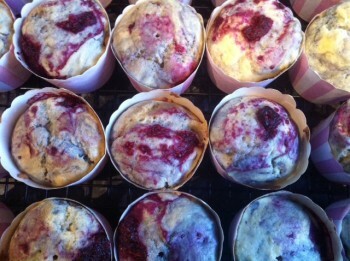 Remove from the oven and let cupcakes cool completely before decorating. Pack of miniature ‘Oreo’ cookies. Piping bag and large ‘star’ nozzle. Bring vanilla buttercream to room temperature. 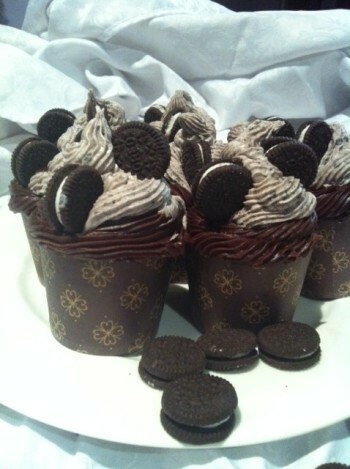 Put aside two Oreo cookies for each cake, and add the left overs to a small snap-lock plastic bag. Seal the bag and smash the cookies with a rolling pin until they’re a fine grain. You can use a blender to do this, but it’s way more fun to smash stuff! Make sure the grains of cookie are small enough that they won’t clog your piping nozzle. Mix the cookie grains through the vanilla buttercream and pop in the fridge for 5 or 10 mins. While the vanilla and cookie buttercream chills, add the chocolate buttercream to your icing bag and pipe a ‘base’ of chocolate over the entire cake. Once they’re all done, remove the vanilla/cookie flavour from the fridge and pipe a small swirl on top, adding the saved Oreo cookies for garnish.